THE MISSION OF THE NATIONAL OCEANIC AND ATMOSPHERIC ADMINISTRATION’S Okeanos Explorer research vessel is to study deep-sea habitats all over Planet Earth, using remote operated vehicles (ROVs) to view life at the depths. Among its expeditions during the past couple of years: waters around the Hawaiian Islands, the Mariana Trench and the Pacific Remote Islands Marine National Monument. 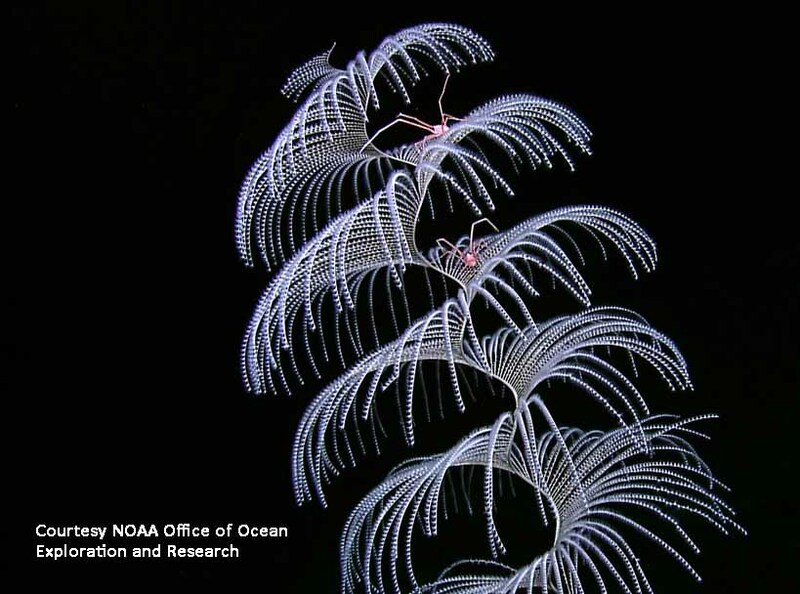 THE GULF’S TURN During December, it’s turned its attention to the Gulf of Mexico, mapping and focusing on life at the bottom of a sea basin largely unknown and much too often taken-for-granted. Better yet, it’s doing it with live video of its explorations. The camera is always on, even when the ROV is stored on deck. 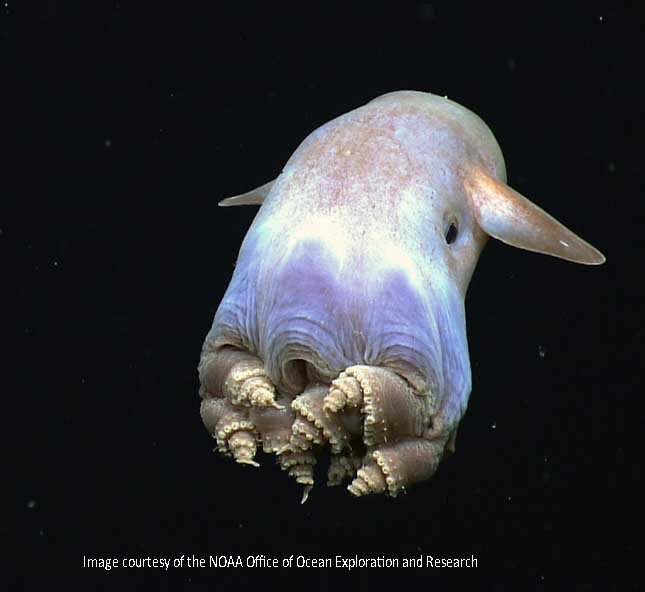 Dumbo octopus imaged by the Okeanos Explorer during an earlier expedition in the Gulf of Mexico. The December expedition is intended to serve as a baseline for two additional Gulf explorations in the Spring of 2018.